Sensen provides data driven insights to organizations working in international development by evaluating technologies through the use of low-cost sensors and dataloggers. We build custom low-cost, long-lasting dataloggers that use a combination of sensors to understand when products are being used and how they're performing. Our flexible, modular platform allows us to adapt our units to many applications. Our clients attach Sensen units to their products during distribution. Data is transmitted to our servers over cell networks or collected by field staff using our mobile phone application. We analyze high resolution data to provide insights about what's working and what's not working. We provide recommendations on how products can most efficiently and effectively impact those living in poverty. Understanding cookstove adoption and health impacts. 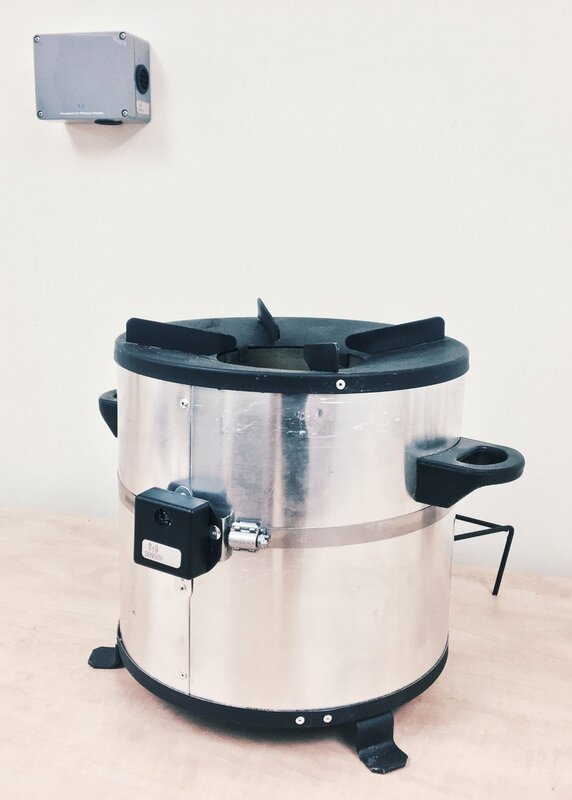 We are partnering with Harvard's Evidence for Policy Design Lab, MIT D-Lab, and the microfinance organization ESAF to develop low-power, high-accuracy sensors to measure improved cookstove usage and household air quality. Measuring product usage rates allows us to learn about the causes of product adoption and behavior change. Monitoring air pollution exposure provides insights into the associated health impacts of this technology. Sensen HAP and SUM. Our stove use monitors (SUMs) attach to cookstoves to measure cookstove usage by monitoring temperature. Our household air pollution monitors (HAPs) measure PM2.5, PM10, CO, CO2 levels to assess air quality. In-country pilot. Testing and cross-validating the functionality of our stove use monitor in India. We worked with Indian research staff and pilot households to understand local cook practices. Wheelchairs have the potential to transform lives by providing mobility and independence. We worked with MIT's Comprehensive Initiative on Technology Evaluation (CITE) and United Cerebral Palsy's Wheels for Humanity to better understanding which types of wheelchairs are best suited for which users. Broken wheelchairs. Without proper training, product fit, and maintenance, many wheelchairs end up broken or unused. In-country testing. We worked with in-country wheelchair users to test and validate the functionality and usage of dataloggers. Research. Working with Indonesian research staff to pilot testing protocols to evaluate wheelchair usage in Bali, Indonesia.